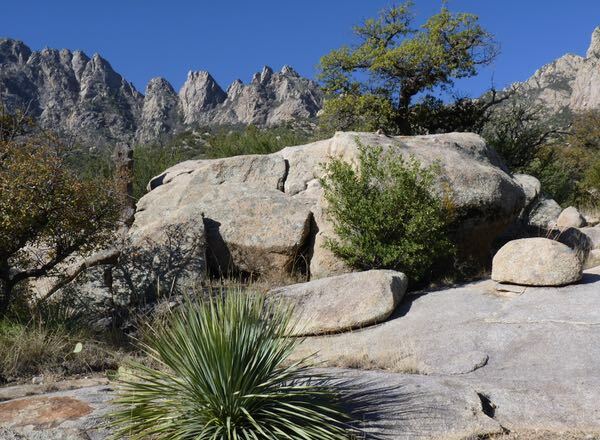 One of the most scenic camps is found on the eastern slope of the Organ Mountains. 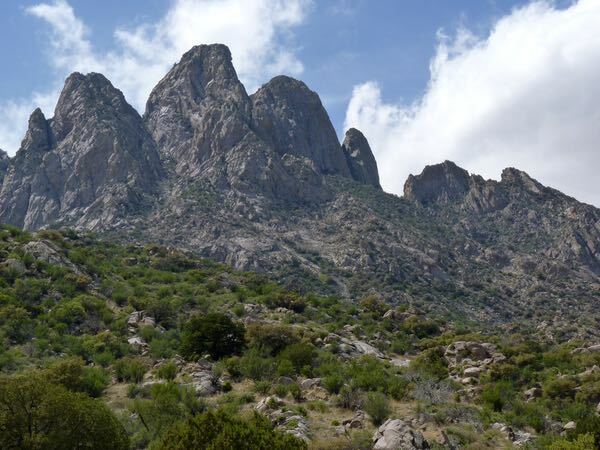 It sets at the base of towering pinnacles, and has expansive views of the valley below. There are two trails; one a 4 1/2 mile loop up to the base of the spires, and the other is 7 miles one way to a gap that passes to the other side. 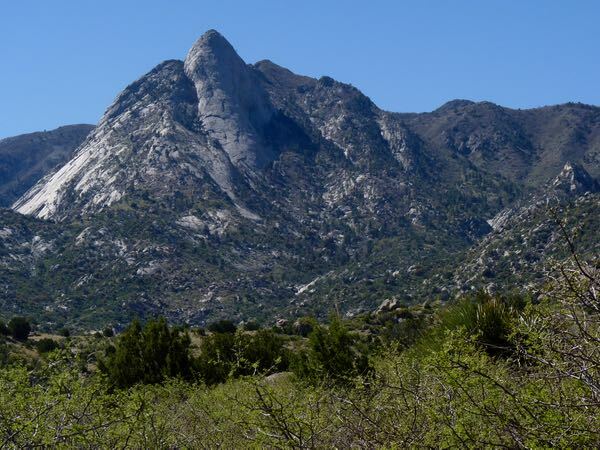 Both are rocky with elevation changes about 1,500ft. I hiked the loop trail on a previous visit. This time I was satisfied to climb around through the many rocks and boulders taking photos. The remains of a tree provided an interesting silhouette against the sky. 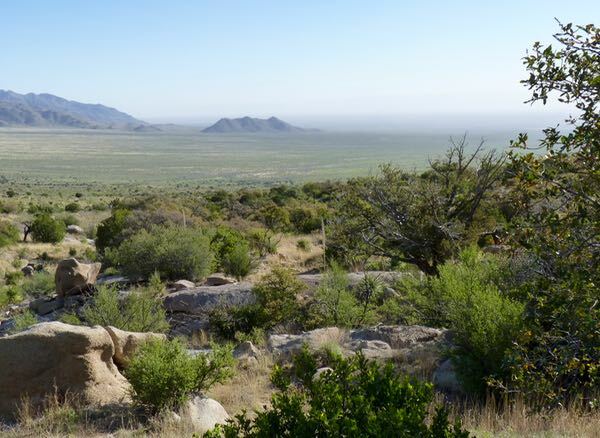 From the campground, you can see into the Tularosa Basin toward White Sands National Monument. 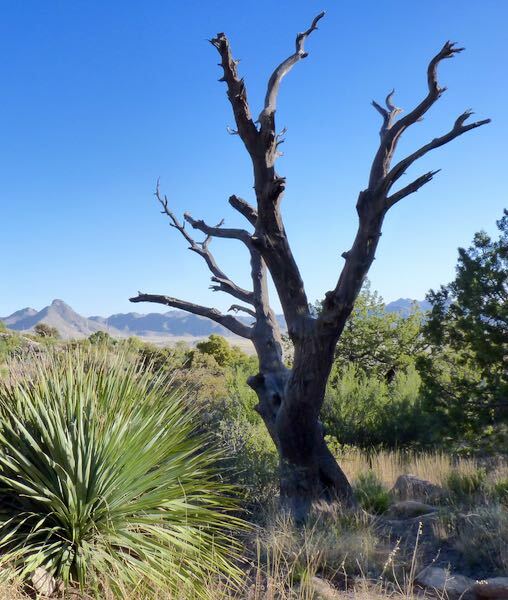 The BLM campground is not suitable for rigs over 30ft, and is drycamping only with small spaces. There are tight switchbacks going in, and a wicked dip through a wash on the one way exit road. If you have a smaller rig, you’ll not regret a visit. That was a really nice location it seems. Thanks for the pictures. Yes. I really enjoyed that place. At close to 6,000ft it is probably off limits to some folks. With other things on our minds, we haven’t been keeping up with you, but we were talking this morning and decided we ought to check up on you. We are delighted to see you are still out there exploring. Beautiful country. Glad to hear from you Ralph. Hope you’re still enjoying your life. I can’t seem to stop roaming around.